Oracle database tuning can be an incredibly difficult task, particularly when working with data which is constantly changing and evolving every second. In fact, a very busy database will often encounter performance issues or disruptions which often result in business chaos. Many administrators try to address performance disruptions by tuning system-level parameters (i.e. CPU, Memory, etc…). However, these issues are better addressed by analyzing and tuning the queries which applications submit to the database for processing. 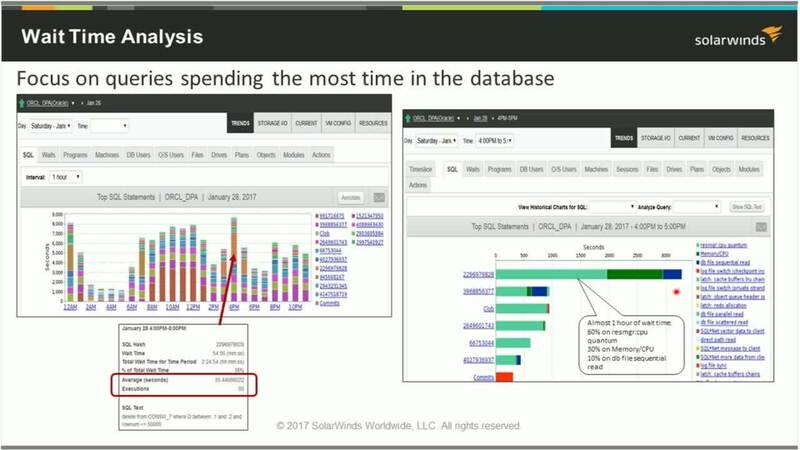 In the first of this 2-part series, Janis Griffin, Database Performance Evangelist, SolarWinds, discusses how to quickly identify the performance disruptors in the database, find which queries to focus on, and show how to examine the execution plan for costly steps.